The National Contract Management Association (NCMA), founded in 1959, is the world’s leading professional resource for those in the field of contract management. The organization, which has over 22,000 members, is dedicated to the professional growth and educational advancement of procurement and acquisition personnel worldwide. NCMA strives to serve and inform the profession it represents and to offer opportunities for the open exchange of ideas in neutral forums. NCMA is located at 21740 Beaumeade Circle, Suite 125, Ashburn, Virginia 20147. 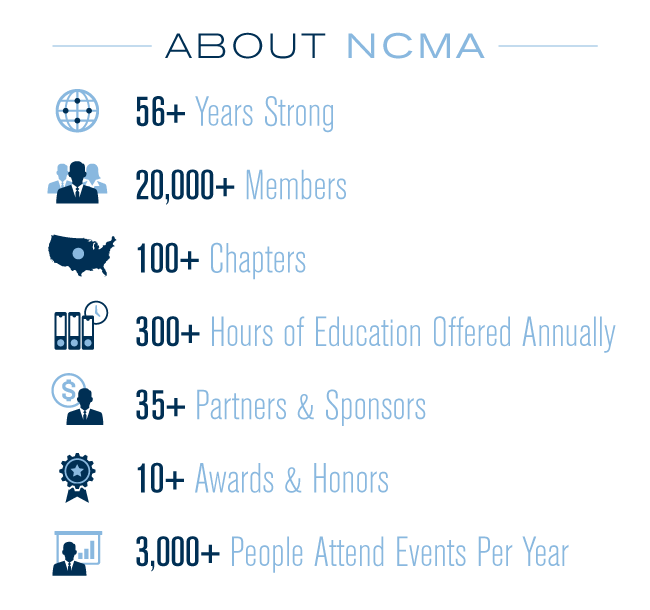 What does NCMA offer to members? To learn more about member benefits click here. Learn more in our new video presentation. This is NCMA!